It\'s in a very good location in the very center of the capital city. Fast growing infrastructure, for example they have build 2 new faculty buildings and renovated 4 buildings. My opinion of RTU is good. There is definitely a lot of room for improvement with the organization and the overall work completed with the staff. The university offers a good environment with diversity and an inviting campus. It's in a very good location in the very center of the capital city. Fast growing infrastructure, for example they have build 2 new faculty buildings and renovated 4 buildings. Many possibilities for different kind of students to try to start a startup with a help of business incubators. The faculty of electrical engineering has got a new building recently with a lot of new equipment and very good planning. Student life is excellent because of many different organizations EESTEC, BEST and RTU SP. So many events are organised for all of the students, more are for free. This is definitely the best choice if you want to study business in Riga. The quality of the courses, materials, and professors are amazing. All of the professors have real-life experience in business so they can give examples and mentor you while you explore your choices already in the years of university. The school also provides a possibility to get a dual diploma with a university in Oslo or New York. Before I came to this university I had different expectations about it. But I should admit part of my expectations came true but the other part did not. Student life here is much fun, there are lots of Erasmus and international students. There a lot of activities which are usually organised by the university staff. Lecturer and professors are friendly and they try to help you. But most of the professors are not professionals and they are not experts in their field. They give easy home tasks and usually don’t care about lecture content. The location, study buildings, dorm and sophisticated features are one of the pros of this university. Overall I would suggest to new students to come this university. As it is one of the best universities in Latvia. If you're the owner or representative of Riga Technical University - RTU, you can claim this University and build a better profile. 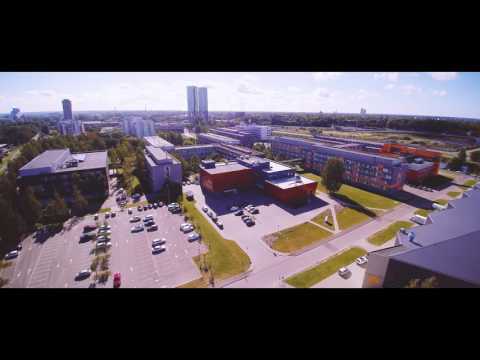 Interested in studying at Riga Technical University - RTU?